Hey, everyone. Welcome to Interview Connections TV. I’m your host, Jessica Rhodes, and I am committed to helping you rock the podcast from both sides of the mic. If you are an author or you are thinking about writing a book and you want to use being a guest on a podcast as a way to launch your book, then listen very, very closely because this episode is for you. I’m often contacted by book launch managers or publicists, and they want to know, “My client is launching a book next month, and we need to get him 12 interviews on podcasts to launch it.” If you’re a podcaster, then you know what I’m about to say. This is horrible timing. 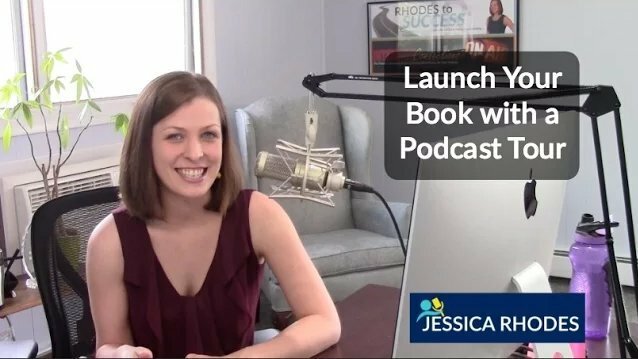 If you want to use podcast interviews to launch your book, you need to plan ahead, months and months in advance. Podcasts are on demand interview shows. They’re on demand shows, and the ones you want to be on are interview shows. If you want to be a guest on podcasts as a way to launch your book, you need to plan ahead. That’s my biggest tip. I would say at least 6 months, start your podcast tour, if you want to call it that, but I don’t really like to call it tour because I think it’s about relationship building, and it’s a long-term marketing strategy, but that’s another episode for another day. If you want to use podcasts as a way to launch your book, plan ahead, start early, and stick with it. If you want to learn how we can get you as a guest expert on podcasts, then go to InterviewConnections.com. I am your host, Jessica Rhodes, and I’m committed to helping you rock the podcast from both sides of the mic. We will see you next Tuesday.